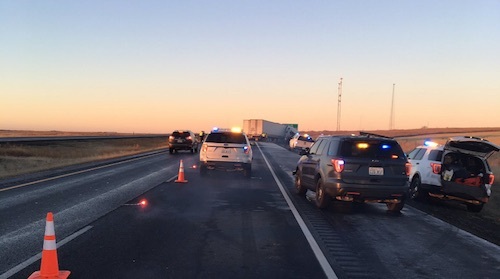 One person was killed and three people were injured in a fatal accident involving multiple trucks on Interstate 90 near Sprague, according to the Washington State Patrol. The incident occurred around 4:30 a.m. Wednesday at milepost 247, about five miles east of Sprague. Police say four people were involved in the crash. One died, and one of the other drivers was taken from the scene by a Life Flight helicopter with serious injuries. Two others were taken by ambulance to the hospital. Details about the collision are sparse, but slick road conditions are believed to be a factor. One of the semi trucks jackknifed prior to the impact. One westbound lane of I-90 reopened around 6 a.m. The Washington State Department of Transportation says to expect moderate to long delays. Semi truck accidents can happen in any weather condition, but when the road is slick and visibility decreases, these accidents become more likely. And due to the sheer size of these vehicles, the results are often catastrophic. Truck drivers must obey posted speed limit signs. But they must also comply with regulations set out by the Federal Motor Carrier Safety Administration (FMCSA), which limits speeds more than posted signs. The FMCSA generally recommends that truck drivers reduce their normal speed by one-third on wet roads. But with loads to deliver and money to be made, these are often judgment calls for the driver. If you or someone you love have suffered injuries or death caused by a trucking accident, consult with an experienced trucking accident attorney today. Davis Law Group handles cases across Washington state and can provide you with an honest assessment of your claim and can develop a plan of action going forward. 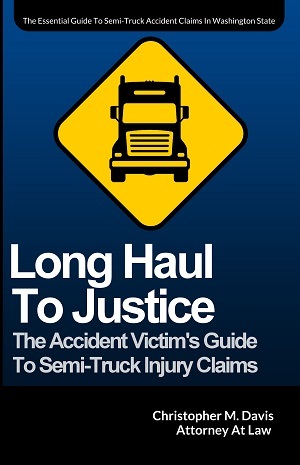 We believe victims of these accidents should get the compensation they deserve. Call our office today at (206) 727-4000 for a free and confidential case evaluation.